I noticed that in the latest version of AVANT that on youtube if I barely move my mouse wrong that the video stops but I still have audio and if I move my mouse just right the video comes back. and then if I am trying to leave a comment while I am watching the video I can type a word but nothing shows up then a min later it types it all out very slowly. Like its lagging.. I have 2 gigs of ram and IE 8 and I am running windows XP home. And memory useage goes sky high but if I go to a new video then everything is ok just as long as Im watching the video and not trying to type too. I like avant but I hope this gets fixed soon. Nope, No problems just avant is eating alot of memory playing facebook apps and acting weird on youtube. 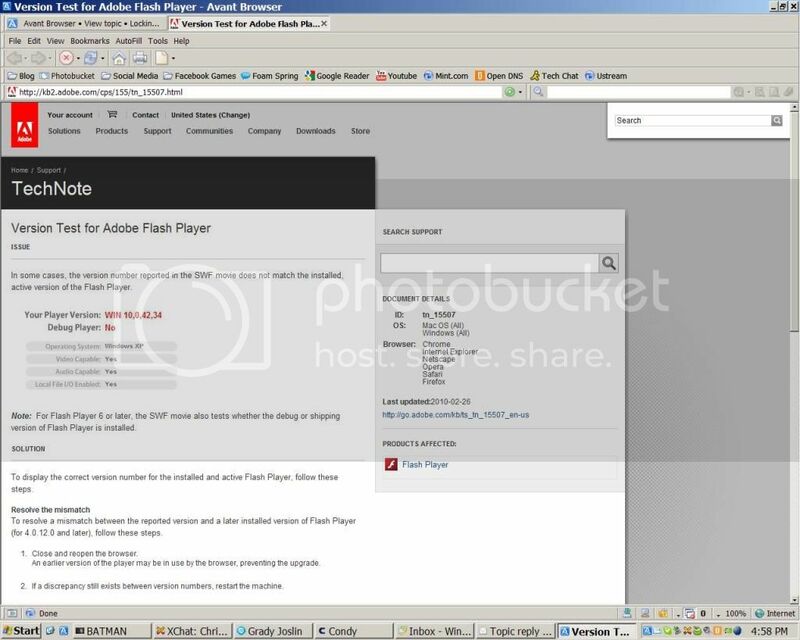 What's your Flash Player version? You do like your screenshots. Maybe it's because I'm not in the US, but I'm getting "image not available". The latest is 10.0.45.2, so you might want to get the latest version.